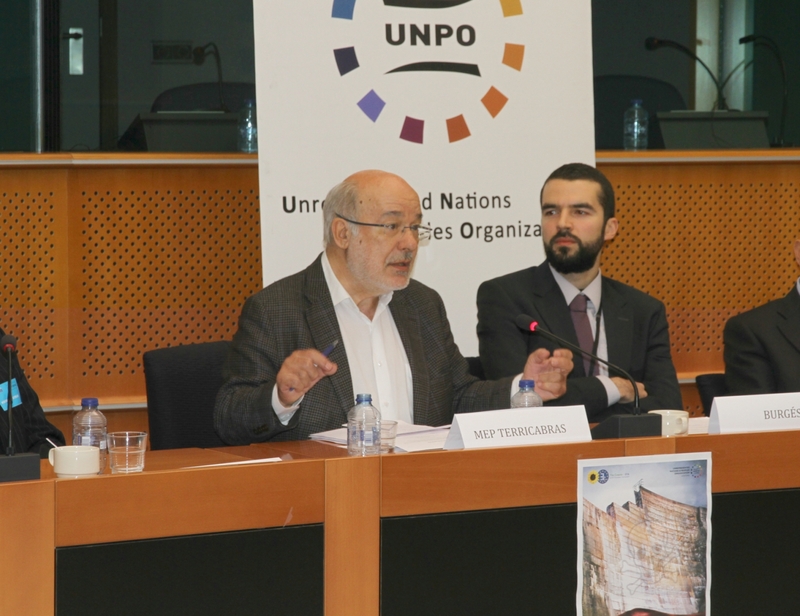 On 9 November 2016, Mr Josep-Maria Terricabras MEP (Greens/EFA) and the Unrepresented Nations and Peoples Organization (UNPO) in partnership with Mahatma Gandhi International, convened a high-level conference entitled “A Recipe for Disaster: Environmental Degradation and Human Rights Violations in Pakistan-occupied Gilgit-Baltistan” at the European Parliament in Brussels. From the controversial construction of mega dams in Gilgit-Baltistan to the impacts on Balochistan and Sindh, the well-achieved goal of the conference was to raise awareness of the immense human suffering that Pakistan’s policies, often in collusion with China, are causing to people of Gilgit-Baltistan, Sindh and Balochistan. 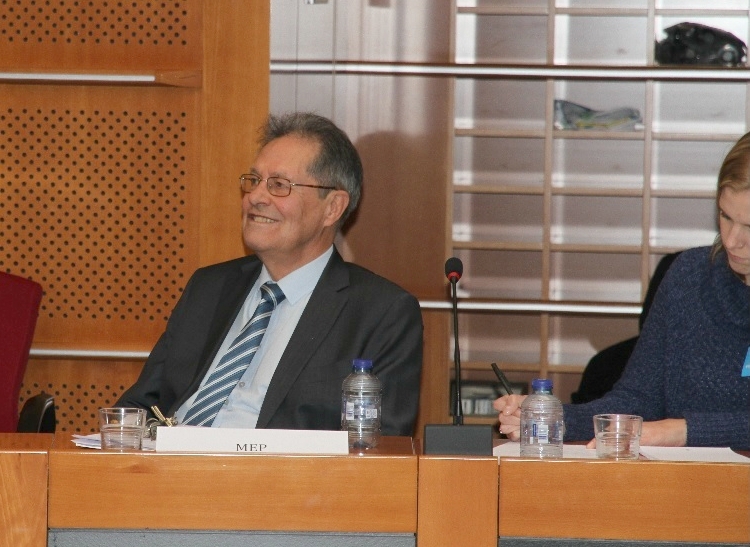 Opening the Conference, the host Josep-Maria Terricabras MEP (Greens/EFA) reminded the audience that even though sensitive topics often trigger discomfort, legitimate claims must be addressed in an open and democratic manner. UNPO Secretary General, Mr Marino Busdachin, stressed the fact that the human rights and environmental situation in Gilgit-Baltistan is quickly deteriorating and that it may soon “reach a level in which it will be difficult to be considered by the international community”. 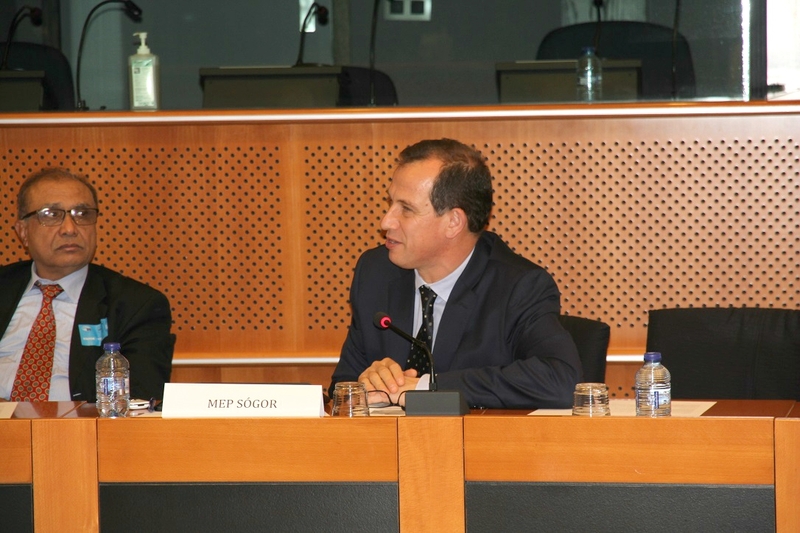 Csaba Sógor MEP (EPP), drew a line from their struggle for indigenous rights to minorities in EU member states, stressing that the EU must unconditionally “set a good example for minority and human rights protection in its member states”. A standard which, he lamented, is missing in the EU today. Opening the first round of speakers, Mr Senge Hasnan Sering, President of the Institute for Gilgit-Baltistan Studies and Board Member of the Gilgit-Baltistan Congress, gave a compelling introduction to the environmental dangers affecting the indigenous people of the region that are caused by the China-Pakistan Economic Corridor (CPEC) and by the illegal construction of the Diamer-Bhasha dam in the disputed territory. Mr Sering’s explained the intricacies of Gilgit-Baltistan’s ecosystem, “the greenest part of which will be submerged by foreigners” with the construction of the Diamer Bhasha dam. What is more, he added that “there is no way that local people are going to receive royalties from the dam because its turbines are located in a Pakistani province”. Mr Mirza Wajahat Hassan, Exiled Chairman of the Gilgit-Baltistan Thinkers Forum, further elaborated on human rights violations in Gilgit-Baltistan and on the marginalisation of its people in an elaborate account of the region’s long history, expanding the discussion to the severe disregard for human rights shown by the Pakistani Government in a territory over which they are not even supposed to have jurisdiction. Mr Hassan remarked that if Pakistan adhered to UN resolutions, “Gilgit-Baltistan can become a bridge between Pakistan and India”. The second panel discussed the repercussions of the environmental degradation in Gilgit-Baltistan and CPEC on Balochistan and Sindh. Dr Siegfried O. Wolf, lecturer at the University of Heidelberg and Research Director at the South Asia Democratic Forum, explained that minorities are concerned about the massive influx of Chinese military into the region. He also underlined the argument, brought up towards the end of the Conference, that CPEC chiefly represents a strategic decision on behalf of China to assist Pakistan in their economic development, while the closure of the Sost dry port in Gilgit-Baltistan, provoked by the construction of the Diamer-Bhasha dam, will have the exact opposite effect, costing up to 20,000 jobs. Closing the event, Dr Lakhu Luhana, Secretary General of the World Sindhi Congress, put the spotlight on the adverse effects that the enormous reservoir dams would have on the everyday life of indigenous populations along the lower Indus River. He pointed out that the “River Indus is the lifeline of the Sindhi people” and deplored the government’s brutal crackdown on any expression of opposition, stating that scores of Sindhi activists have been forcibly disappeared or imprisoned for very long terms. 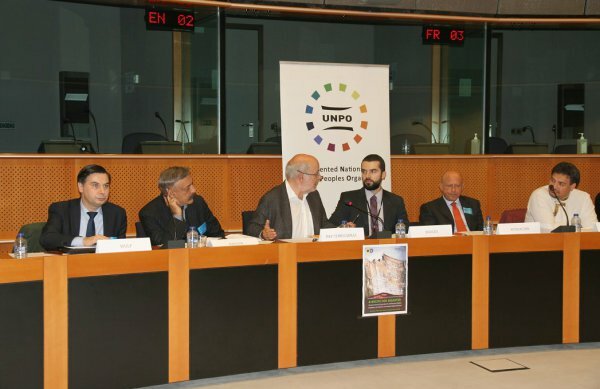 Hitherto not well known by Members of the European Parliament, Gilgit-Baltistan rises as a critical topic that, thanks to growing campaign organised by UNPO in partnership with Mahatma Gandhi International, is likely to become high on the agenda of the European Union institutions. The event, furthermore, widened the discussion to include the ramifications brought about by CPEC for the economic and human rights conditions for minorities in Pakistan. Finally, we appeal to the European Commission to significantly review its trade incentives to Pakistan, in the framework of Generalised Scheme of Preferences (GSP) plus, and suspend it until Islamabad fulfils its human rights obligations and withdraws from Gilgit-Baltistan.